The Houston Oilers were a surprising 6-2 as they hosted the Miami Dolphins on November 16, 1975. Under first-year Head Coach Bum Phillips, the team that had been 1-13 in both 1972 and ’73 was playing like a contender. The Oilers ran the ball effectively with HB Ronnie Coleman and FB Don Hardeman carrying most of the load, and while the passing game was unexceptional, there was an emerging star in WR Ken Burrough. The solid 3-4 defense was the key to Houston’s success, with NT Curley Culp anchoring the line and rookie LB Robert Brazile proving to be a valuable addition. Topping it off was WR Billy “White Shoes” Johnson, who was an exciting kick returner and had already scored twice on punt returns. One lineup change for the Miami game involved a fading star who had been brought in to provide defensive depth. 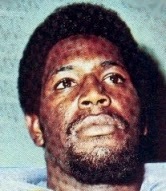 30-year-old DE Bubba Smith (pictured above) had been let go by the Raiders and was now backing up his younger brother, Tody, on the defensive line, who was out with a knee injury. The Dolphins came into Houston at 7-1, having not lost since the opening week. Since Head Coach Don Shula’s arrival in 1970, Miami had been as successful as the Oilers were mediocre. But while there were still some stalwarts, such as QB Bob Griese and HB Eugene “Mercury” Morris, remaining, the Dolphins were in the process of retooling. There were 48,892 fans in attendance at the Astrodome. The Oilers had first possession and drove 48 yards in 13 plays. Ronnie Coleman and Don Hardeman ran effectively, picking up three first downs, but after reaching the Miami 17 QB Dan Pastorini was sacked by LB Bob Matheson on third down and Skip Butler kicked a 43-yard field goal. The teams exchanged punts following short possessions, and Miami was driving as the first quarter ended. Bob Griese completed a screen pass to FB Norm Bulaich for 13 yards on a third-and-nine play and then hit on three straight throws to WR Freddie Solomon for eight yards, TE Jim Mandich for 10, and WR Howard Twilley for 31 yards to the Houston 18. But on the second play of the second quarter, another Griese pass was intercepted by LB Ted Washington, who returned it 23 yards. On a series that advanced 63 yards in seven plays, Pastorini threw to FB Fred Willis for 16 yards and Hardeman broke away for a 37-yard carry to the Miami 12. Butler kicked a 26-yard field goal to make it a 6-0 game. Miami responded with an eight-play, 64-yard possession. Griese completed three of his passes, the last to Mandich for a 26-yard touchdown. However, the score remained tied when Bubba Smith blocked Garo Yepremian’s try for the extra point. The Oilers moved into Miami territory on the next series thanks to a Pastorini throw to Ken Burrough that covered 24 yards, but after reaching the 35, two sacks backed them up and they were forced to punt. With time running out in the first half, the Dolphins drove to the Houston 32 before Griese was sacked by Robert Brazile and DE Elvin Bethea. The teams went into halftime still tied at 6-6. A short Miami series to start the third quarter lost yardage and ended with a punt that Billy “White Shoes” Johnson returned 83 yards for a touchdown. Butler converted and the home team was ahead by 13-6. Griese started off the next series for the Dolphins by throwing to Twilley for 24 yards and they drove methodically to the Houston nine. However, a completion to HB Larry Seiple at the goal line that was originally called a touchdown by one official was instead ruled down inches short of the goal line by the referee. FB Don Nottingham was stopped by Smith on a fourth down play and Miami came up empty. The Oilers went three-and-out and punted and this time Miami didn’t fail to put points on the board. Again facing fourth down, HB Benny Malone ran for the last two yards and a TD and, with Yepremian successfully adding the point after, the score was tied at 13-13 as the game headed into the fourth quarter. Houston had to punt from deep in its own territory following the next series and the Dolphins took possession at the Oilers’ 48. Three plays later, Solomon took the handoff on a double reverse and sped 35 yards to the Houston three, and from there Nottingham ran for a TD. But once again Bubba Smith blocked Yepremian’s extra point try and the visitors held onto a six-point lead at 19-13. Following another exchange of punts, the Oilers took possession at their 11. They proceeded to drive 89 yards in 15 plays. Johnson ran for 19 yards on an end-around, Pastorini completed a pass to TE Mack Alston for 24 yards, and on a third-and-seven play from the Miami 26 at the two-minute warning, Pastorini connected with Coleman for 10 yards. Still, the Oilers were facing fourth-and-six when it appeared that another pass intended for Alston was picked off by SS Charlie Babb. But Miami was penalized for defensive holding, allowing Houston to keep the ball with a first down at the seven. Coleman swept around end for a touchdown from there, breaking three tackles in the process, and Butler’s all-important extra point was good to put the Oilers on top by one. A few plays later, an interception by LB Gregg Bingham sealed the 20-19 win for Houston. The Dolphins led in total yards (350 to 239) and first downs (23 to 15). They also recorded four sacks, to three by Houston, and the Oilers were penalized 10 times at a cost of 90 yards while Miami was flagged five times. However, the Dolphins turned the ball over twice, to none by Houston, and gave up the punt return touchdown as well as the two blocked extra points that ultimately determined the outcome. Dan Pastorini completed 11 of 22 passes for 111 yards and no touchdowns, although also with none intercepted. Don Hardeman gained 60 yards on seven attempts and Ronnie Coleman rushed for 58 yards on 13 carries that included a TD and caught three passes for another 20 yards. Fred Willis, in addition to running the ball 9 times for 32 yards, led the Oilers with four pass receptions for 33 yards. In addition to his third punt return touchdown of the season, Billy “White Shoes” Johnson (pictured at left) had two catches for 10 yards plus the one 19-yard run. For the Dolphins, Bob Griese was successful on 21 of 29 throws for 257 yards and a TD, but was intercepted twice. Jim Mandich caught 6 passes for 69 yards and a touchdown and WR Nat Moore contributed five receptions for 59 yards. The ground game was not strong and Benny Malone was the club’s top rusher with 38 yards on 12 carries that included a score. “Take a step, watch for the kick, and jump up. Just as easy as that,” said Bubba Smith of how he blocked the two extra point attempts, also noting that in film study they had noticed that Yepremian tended to kick low and center Jim Langer took a step back to block. Houston lost its next two games to the only teams it lost to all year, the Steelers and Bengals, and ended up in third place behind those AFC Central rivals with a 10-4 record, missing out on the postseason. The Dolphins lost again the next week, and it was especially costly because Bob Griese went down with a knee injury. They also finished at 10-4, placing second in the AFC East and missing the postseason for the first time since Shula’s arrival. Bubba Smith appeared in 12 games for the Oilers and started two of them in what was his next-to-last season in the NFL. 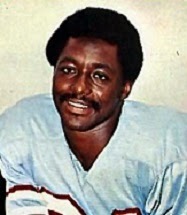 Billy “White Shoes” Johnson led the league with a 15.3-yard average on 40 punt returns, including the three touchdowns. He also averaged 24.2 yards on 33 kickoff returns and returned one for a TD. Adding in his 393 pass receiving yards and 17 by rushing, he totaled a career-high 1820 all-purpose yards and was named to the Pro Bowl. Garo Yepremian, in his sixth year with the Dolphins, ended up failing on six of his 46 extra point attempts, but led the NFL with a field goal percentage of 81.3 (13 for 16). He spent another three seasons with Miami.